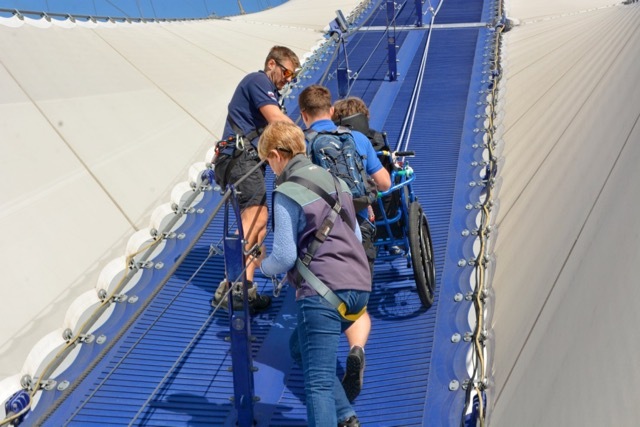 Trustee and rider Emma Harris went over the O2 and raised over £245 for Barrow Farm Riding for the Disabled. 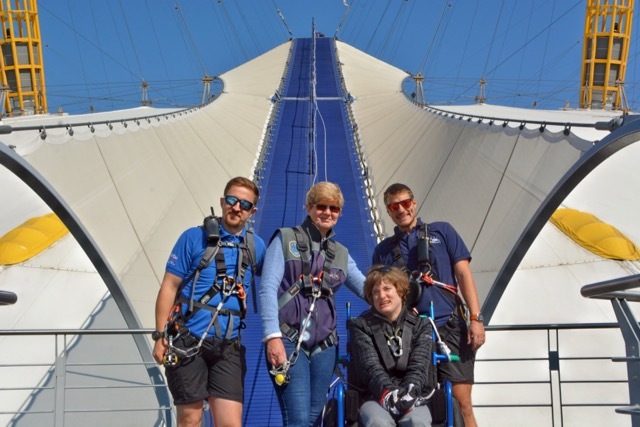 Emma was accompanied by one of our other trustees Karen Lehner who complimented the team of four who did a fantastic job of helping Emma to achieve this. They were blessed with fine weather and had some fantastic over London. A big thank you to Emma for raising this money for us. Riding offers so many benefits, to find out more check out our Benefits of Riding page which also includes comments from riders on how riding has benefited them. 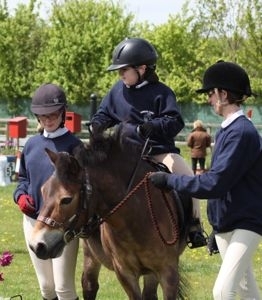 Barrow Farm Riding for the Disabled is with Clare Skinner. We’d like to wish everyone a Happy Easter and remind everybody that we are closed Friday 19th April to Monday 22nd April. Also, congratulations to Jack and Christopher, who achieved Grade 2 Horse Care today after spending this past term practising. We welcomed back some of our carriage drivers this week. They were all very excited to be getting back out in the carriages with Lula and Penny after the long winter break. Both ponies have been very well behaved for the first week back of the new season.